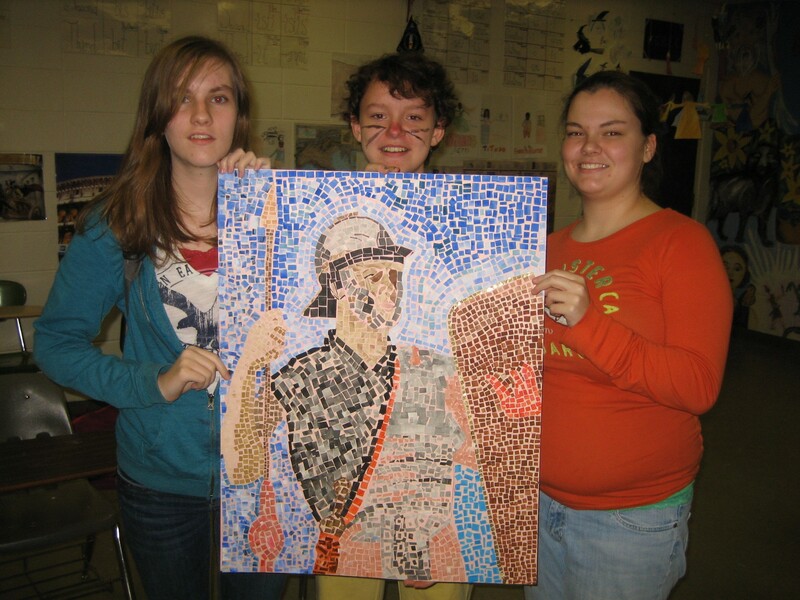 Mitchell High Latin students created this mosaic with sub Kerstin Davis. Welcome to subswithsuitcases.org. This is a combination blog/website – please take a moment to look around and see what’s here. You can click on the About the Program tab above to see what Subs with SuitCASEs is all about. Click on the Resources for Teaching Artists link in the sidebar to find lots of helpful links to more information. Click on the Profiles tab above to see profiles of the participating teaching artists. Please let us know if there are any other features you’d like to see added to the site!